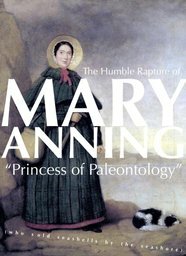 Musical Theatre Artists of Pittsburgh presents an Incubator reading of an original musical, The Humble Rapture of MARY ANNING, "Princess of Paleontology" (who sold seashells by the seashore), on Sunday, December 16, 2018 at 8:00 - 10:00pm at the Charles Gray Auditorium inside Pittsburgh CLO Academy. Written by Laurie Klatscher (book, lyrics and music), directed by Laurie’s own husband Gregory Lehane, with music direction and arrangements by Douglas Levine, the musical tells the story of Mary Anning, a humbly born English girl, best known as the subject of the tongue-twister "She sells sea shells", who was in fact one of the greatest paleontologists of all time. The show journeys through her life from being struck by lightning as a baby, to her death from breast cancer at the age of 47. It is a tale of inspired persistence, of what can be lost, and rediscovered. *Please note that this specific reading is only presenting Act One of the entire musical. Cast: Natalie Hatcher, Ethan Saks, Billy Hartung, Leon Zionts, Laura Barletta, Betsy Lawrence, Chris Morriss, and Erich Lascek.